It’s Party Time… Wine Party Time! Today on Wine4Food, we’re throwing a wine party! 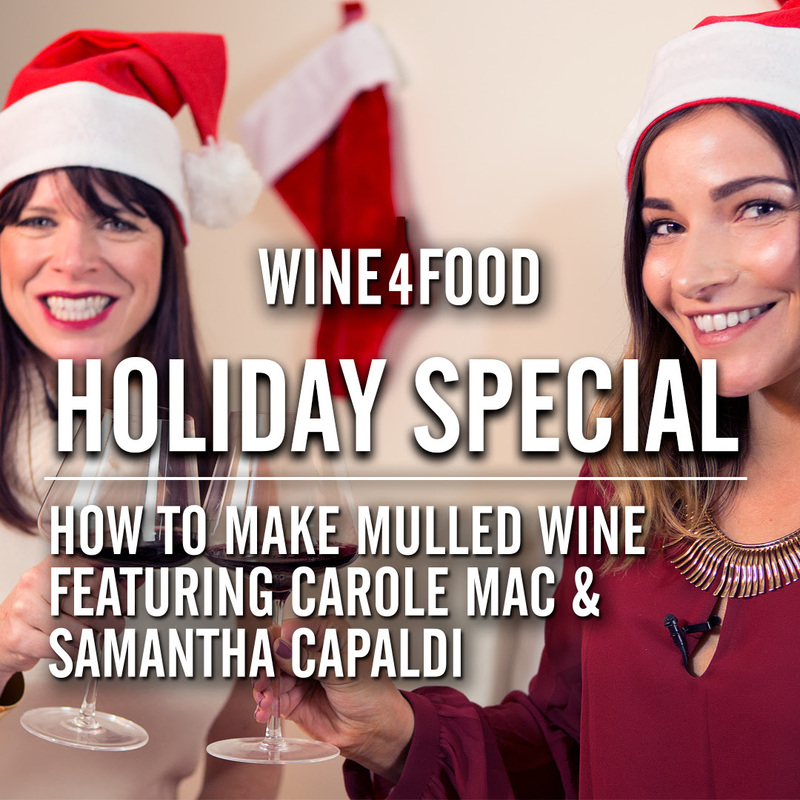 We are joined by Samantha Capaldi, AKA Samantha Sommelier, to help us find affordable wines that pair easily and deliciously with the foods you would have at a typical wine party. To make it easy for you to replicate at home, we split the foods into three categories: Cheese, charcuterie, and savory appetizers. Our cheese plate includes Brie, Asiago, and a Cow-Goat-Buffalo Blend. These cheeses run from soft and creamy to sharp and firm, and each provides a different, nuanced flavor profile. Sam chose the Domaine Nicolas Croze Les 3 Grains Blanc, a white Côtes du Rhône that at $15 is an absolute steal. The acidity and subtle almond flavor of this wine pairs differently with each of our 3 kinds of cheese, but in a totally new and delicious way. This wine is definitely a safe bet for any wine party you’ll be attending that features a cheese plate! For our charcuterie pairing, we went all Italian with Salumi (Italian cured meats) and Barbera d’Alba. Sam explained that Barbera is one of Italy’s typical table wines, a total foodie wine that features the Barbera varietal from Piedmont. At $14, the Barbera d’Alba is a strong choice to cut through the fatty flavors of prosciutto, speck, or Calabrese. Salute! Finally, our filling savory appetizer was a homemade roast beef slider with mustard and arugula, which Sam paired with a Bordeaux blend. Best wine party ever? And so affordable! The Chateau la Rose Haut-Médoc is an awesome value choice from Haut-Médoc, one of the key subregions of Bordeaux known for producing quality wines at affordable prices. This was Carole’s favorite by far. Follow these tips and a fun, delicious wine party with your friends will always be within your budget! Special thanks to Samantha Sommelier for making this episode possible. If you love wine and food, why not subscribe to us on YouTube, Like us on Facebook, or follow us on Instagram? Thanks for watching! *To find the wines we sampled today, inquire at one these retailers.